The statistics of sexual abuse in America are staggering; one out of three girls and one out of four boys reports being victimized at some point in their lives. When one considers that sexual abuse is one of the most underreported crimes, it is likely that those numbers are even higher. With recent atrocities like Jerry Sandusky and the Penn State cover-up and increasing numbers of public figures such as Tyler Perry disclosing their own sexual abuse, the past stigma of sexual abuse seems to be lessening. 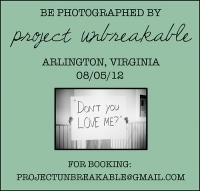 One of the more powerful attempts to raise sexual abuse awareness comes in the form of a Tumblr page by the name of “Project Unbreakable.” Project Unbreakable was started by then-teenager Grace Brown, who after hearing a particularly affecting story of sexual abuse, came up with the idea of photographing sexual abuse survivors holding poster boards with the words their abusers used in the attack. The photos are both heartbreaking and empowering as these victims-turned-survivors take back their lives, many for the first time. The long-term effects of sexual abuse are well documented and many victims often wrestle with issues including substance abuse, loss of sense of self, unstable relationships, difficulties with intimacy, depression, anxiety, and self-harming behaviors. Given that more and more sexual abuse survivors are speaking up and coming forward for help, it is imperative that they be met with adequate ways of addressing these concerns. Existential psychotherapy is primarily concerned with courageous confrontation of the givens of humanity; existential psychotherapy is not technique-laden but is largely based on interpersonal ways of being. One of the “tools” existential practitioners may use is Bugental’s (1981) “awaring” technique, which is “subjective experiencing” or “coming home to one’s self”(p. 219). Fisher (2005) believes that in order for sexual abuse survivors to experience this homecoming, they must “reveal and face the silenced, abandoned parts of their young, traumatized selves” (p. 28). Project Unbreakable has given many victims the chance to begin their healing process by doing just what Fisher (2005) describes. By writing on the poster board the words used by their abusers to silence, terrify and violate them, the victims are giving voice to their experience. By revealing those words that have haunted them for years, the victim is allowing the traumatized child to speak up. These courageous first steps, now taken by hundreds of victims, are just the beginning of the healing road, but with time and skilled practitioners who are willing and able to work with them, these victims are well able to become victorious.